Everybody needs to escape the mundane, every day routine and break away from the modern day pressures by taking a fun road trip in a VW bus! 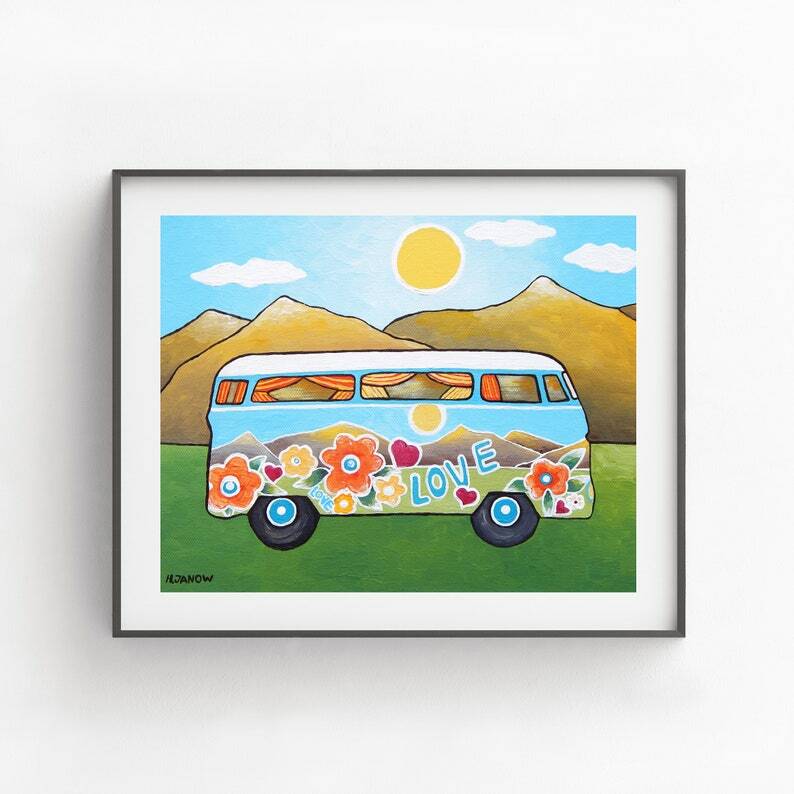 This fun Hippie Van Retro Bus Print is a giclee reproduction from my sold original painting titled "Big Adventure." The print is sure to brighten up your room, nursery or kids bedroom!